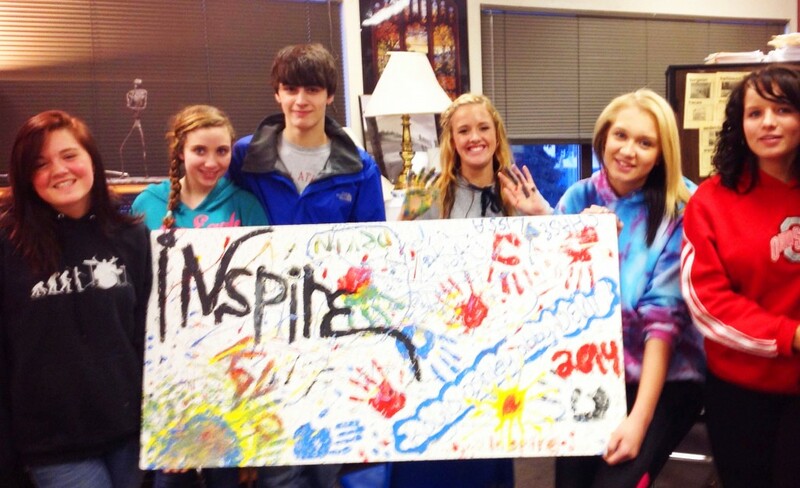 Soldotna High School (SoHi) freshmen surprise Mr. Walton with a freshly painted ceiling tile with the iNspire logo and their handprints, demonstrating their personal commitment to make a positive difference. As Walton hears of or discovers a new student achievement, with that student’s permission, he uploads a picture or video of the student, along with a brief summary of the student achievement into his website and then links the site to his class webpage. Once a student story is uploaded to the iNspire webpage, Walton informs SoHi counselor Erin Neisinger of the new student entry, and she then places a “positive home call” to that student’s parents. This entry was posted on April 3, 2014 at 3:49 pm. You can follow any responses to this entry through the RSS 2.0 feed. You can skip to the end and leave a response. Pinging is currently not allowed.